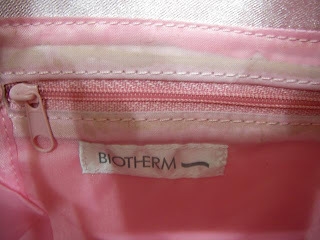 A friend of mine requested me to help sell these nice Bioterm Make up bag. It can also be used as handbag as it is roomy. 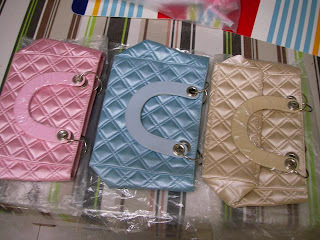 91/2" x 8" x 2 3/4"
Note that the blue and the pink one has some mark on the bottom of the bag, but other than that, it is perfect. For the beige color, there's no mark or whatsoever.